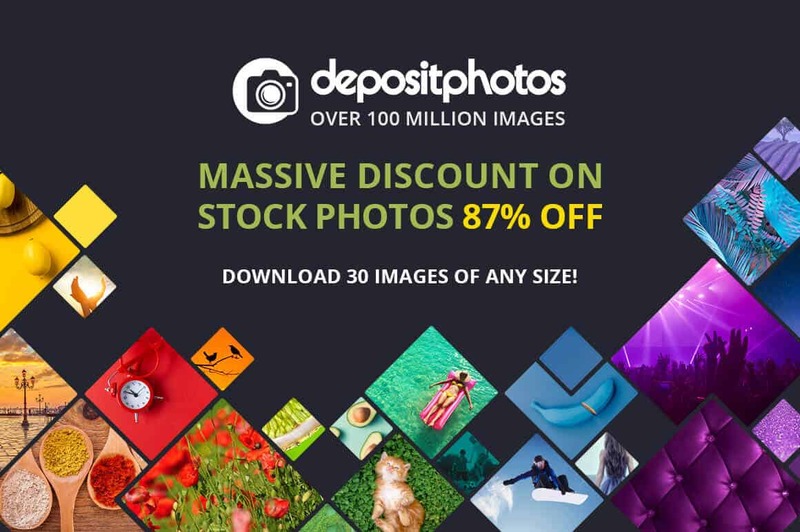 Choose 30 Photos of Any Size from Depositphotos for only $19! NOW ON: Choose 30 Photos of Any Size from Depositphotos for only $19! Depositphotos is one of the largest stock photo libraries, offering visual content for projects on any topic and theme. Today you can make the most of a special offer and purchase 30 images of your choice for just $19, meaning that each image will costt you just $0.63! This special offer has no monthly limit and no expiration date. Simply visit the Depositphotos website, browse and find images you’d like to download, and purchase them using our special offer. Not only can you download images of any size, but you can also get images in SUPER size now. These images are twice as large as the XL option available for download and are useful especially for large format printing. Depositphotos makes it easy to find the perfect content. With efficient search filters and an advanced search algorithm, finding the images you need is a breeze. Besides, in a library of 100 million files, it’s impossible to not find what you’re looking for. Already have image credits with Depositphotos? No worries. You can still grab this deal and simply add more images to your collection. You can even purchase this deal multiple times. The biggest perk of this sweet deal is that your image pack will never expire! Save money If you regularly use stock photographs, you know the costs can really add up. Normally, you’d pay up to $10 for an individual image, but thanks to this deal from Depositphotos, you can pay as little as $0.63 per photo, regardless of the size you choose! 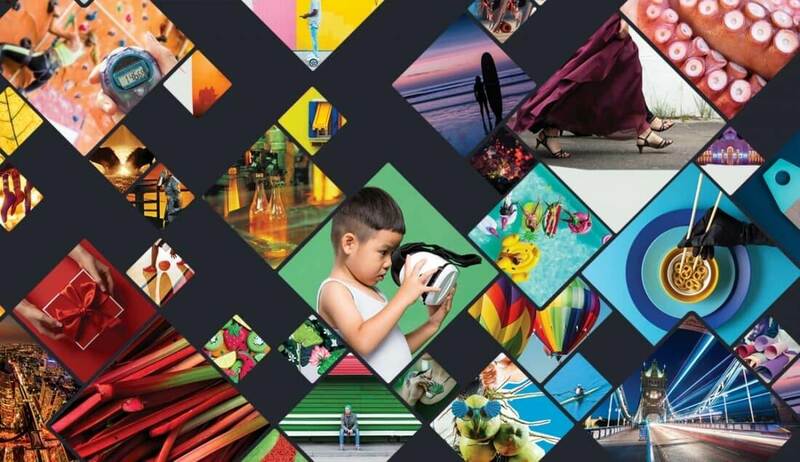 100,000,000+ files available It may take you an entire lifetime or two to get through Depositphoto’s library of stock images! With more than 100 million high-quality photos, and vector images, it would be downright impossible for you not to find exactly what you’re looking for! Dozens of different categories Depositphotos has handy photo categories to help you in your search for the perfect visuals: Abstract, Animals, Business, Cities, Computers, Food and Drink, Holidays, Medicine, Nature, People, Religious, Science, Shopping, Sports, and many more. No daily limit and no expiration date! Your image downloads are not restricted to any daily download limits, simply download your bundle of 30 images any time. The regular “On Demand” image option from Depositphotos has a one year expiration limitation, but we’ve made a special arrangement with Depositphotos where your image pack will never expire! So you can grab this deal today and still be able to download images at any other time that’s more convenient. Royalty-free photos Every image you download from Depositphotos.com is Royalty-Free. That means you can use them for any of your projects, whether they’re for personal or commercial use. (This deal is for the standard license). Customizable vector images After downloading any JPEG or vector images, you can use your editing software to customize the selection to suit your needs. Multi-language support Worried about losing something in translation? Fear not! The Depositphotos website is available in dozens of different languages. Click the BUY NOW button and don’t wait up. The perfect visuals are a few clicks away! You will receive a promo code to register and receive your bundle of 30 images from Depositphotos. For this deal only, your image pack will never expire. You can download images of any size (regardless whether it’s XS, XL, or SUPER size). You may use your image pack to download any photos and vector images from Depositphotos. Please note that this deal does not include videos. All images available on Depositphotos.com are Royalty-free. There’s no limit to the number of images you download per day. In the event that a refund is required, a refund may only be issued within 7 days of the purchase. Current Depositphotos customers may also purchase this deal. Your account may only be used by you. Your image credits cannot be applied to a multi-user/corporate account. Images with this deal will be purchased under the Standard License. You can read more about Depositphotos’ license options and rules in their Legal information section.